The horror genre is perhaps the most diverse and widely varied in all of film and the one with the richest history. From the genre’s early stages with German Expressionism to the suspense of Hitchcock to the slasher and possession craze of the 80s. Over the last few years, the genre has been experiencing a resurgence with box-office hits and high ratings that have not been this evident since the days of icons like Jason Vorhees and Freddie Kruger. Horror is always continuing to evolve with new names, faces and ideas emerging at every turn and because of that, it’s very easy for some to slip under that repulsive radar. Whilst services like Netflix, Amazon Instant Video and the horror-exclusive Shudder make access to new discoveries easier than ever before, it’d be impossible to catch them all. So, because we’re the very best; for your convenience, here are 10 of the best cult horrors that you may have missed. This French homage to the Italian giallo films of the 1970’s by husband and wife duo Hélène Cattet and Bruno Forzani is by far one of the most visually ambitious films to ever grace our screens. The Strange Colour of Your Body’s Tears follows Dan (Klaus Tange), an average business man who returns home after a two-week work trip to find that his wife has gone missing. He decides to go from apartment to apartment to aid his search and by doing so, encounters several people who share with him their own stories and secrets, all while trying to unravel the mystery of the whereabouts of his wife. The Strange Colour of Your Body’s Tears uses a variety of visual styles for different sections of the experience, all portraying different moods and atmospheres for every new perspective. The film explores an Art Nouveau-esque style, at times exploits black and white and at others exploits colour. From Hitchcockian to jump-cuts to completely psychedelic. The heavy emphasis on visuals paired with its experimental use of Italian giallo techniques including music and a 1970’s look and feel, seems to sacrifice much actual story focus and comes out as a narrative puzzle and will require your attention and your patience. It’s mysterious, horrific and at times confusing, but The Strange Colour of Your Body’s Tears isn’t a film that you’re likely to forget. The body horror sub-genre doesn’t get as much attention nowadays as it once did. There have been some more recent gems such as American Mary, Antibirth and Upgrade but the name most synonymous with the genre is its accredited originator David Cronenberg. So, thank the gore-gods that Cronenberg’s knack for flesh and the grotesque seems to have rubbed off on a product of his own body- his son. Brandon Cronenberg’s debut feature is full of all the weirdness, shock and squirm-in-your-seat body-abnormalities that you’d hope for in a Cronenberg movie. 2012 Toronto International Film Festival’s co-winner for Best Canadian First Feature Film; Antiviral’s surreal premise comments on our ever-growing, celebrity-obsessed culture as it offers us a glimpse into a dystopian future that terrifyingly doesn’t seem all that far away. 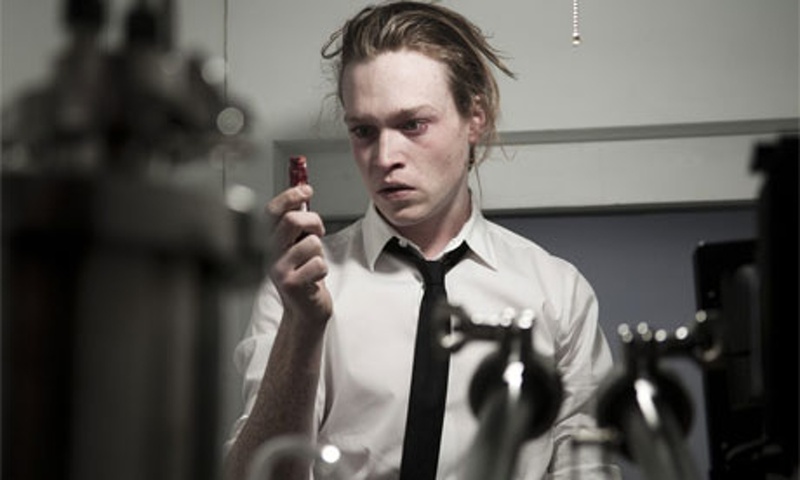 Caleb Landry Jones is Syd March, an employee at a clinic that buys live viruses from celebrities and distributes them as injections to obsessed fans who want to be closer to their idols. The premise speaks directly to our generation and almost acts as a hideous warning. In addition to inducing your wheeze reflexes, Antiviral dabbles into the psychological by way of trippy hallucinations, dream sequences and even the pale and freckly complexion of Landry Jones being used as a visual device as Cronenberg often isolates him against white backgrounds for effect. Antiviral is a sure think-piece and while it lacks much depth or character development, its substantial amounts of blood, puss and other bodily fluids along with its social commentary will linger around the dark corners of your mind. Panos Cosmatos’s (son of famed film director George P. Cosmatos) directorial debut, Beyond the Black Rainbow can only be described as a trance film. The blue-hue cinematography and what Cosmatos described as “night mode” is comparable perhaps to the idea of a drug-induced fever-dream. Pertaining to its visuals, Cosmatos has mentioned 2001: A Space Odyssey, Solaris, Suspiria, Enter the Void, Begotten and Last Year in Marienbad as influences. 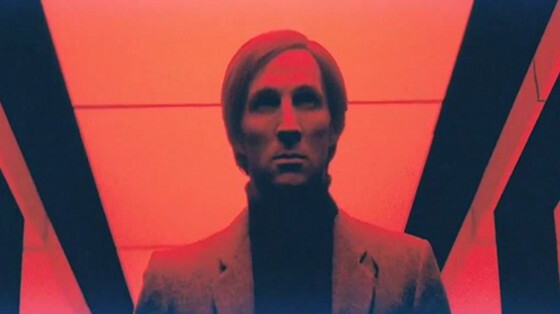 Cosmatos stated that one of his goals was “To create a film that is a sort of an imagining of an old film that doesn’t exist”, and that idea is certainly present and successful as Beyond The Black Rainbow manages to feel both brand new and long lost. Set in 1983, the complex, rather difficult-to-explain and at times seemingly non-existent plot involves a new-age research facility dedicated to finding a reconciliation between science and spirituality. While a surrealistically horrifying and psychedelic experience, Beyond The Black Rainbow won’t be for everybody; the film boasts a small but passionate fanbase. For devotees of the science fiction genre in its rawest form and those who appreciate oddball efforts, along with the hypnotic score by Jeremy Schmidt of musical group Black Mountain, this piece is worth a look. Directed by Peter Strickland, this time a British homage to the Italian giallo films of the 1970s is set accordingly — in an Italian horror movie studio, in the ’70s. Gilderoy (Toby Jones) is a mild-mannered British sound engineer who arrives in Italy to work on a film he knows next-to-nothing about. He soon comes to learn that it’s a giallo film and his Foley tasks include stabbing at things like vegetables to create increasingly gory sounds to the point that it’s uncomfortable for him and for the viewer. He is also tasked with mixing sounds of the actresses’ screams as we are made to listen to the sinister performances over and over again. The film at often times is narratively ambiguous as the audience continues to be thrust down the ear-piercing rabbit hole, but that seems to be the point. Berberian Sound Studio is a psychological effort about a man’s fear of descending into madness. What makes Berberian Sound Studio unique is that focus on sound and Foley work. It reverts back to Hitchcock’s philosophy that the audience’s imagination will always be more horrifying than anything that can be filmed. 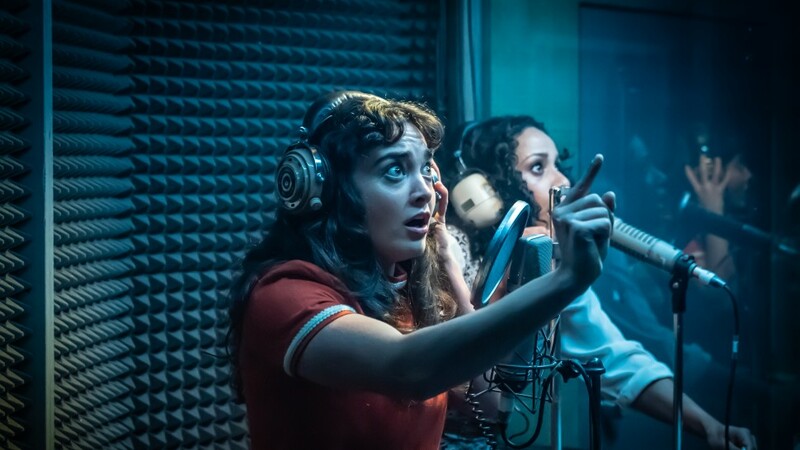 This idea makes Berberian Sound Studio certainly original and ambitious in its attempt at making a horror movie with essentially no actual horrific visuals but depends on just the audiences’ ears and the implied terrors that the mind creates. Even with the absence of that visual aid, Strickland still manages to create one of the most truly unsettling films of recent memory. This black comedy-horror is Jack Hill’s hidden gem. Spider Baby took only 12 days to shoot and follows a dysfunctional family of three orphaned siblings who suffer from “Merrye Syndrome”, a genetic condition that causes them to regress in all regards- mentally, socially and physically. Anybody with a vast interest in the horror genre and its history should add Spider Baby to their list. This ridiculous but unique trashy B-movie just reeks of midnight drive-in viewing and though recognised under the comedy genre, make no mistake, there are plenty of frightening and gruesome shenanigans present here. Initially released to obscurity, Spider Baby achieved its cult status through word of mouth and now enjoys high ratings and praise wherever it is mentioned.